When the occasion requires something special we suggest Bengali Sweet House premium assorted desserts (Chocolate, Cashew, Cashew-Almond Rolls & Kashmiri Halwa). 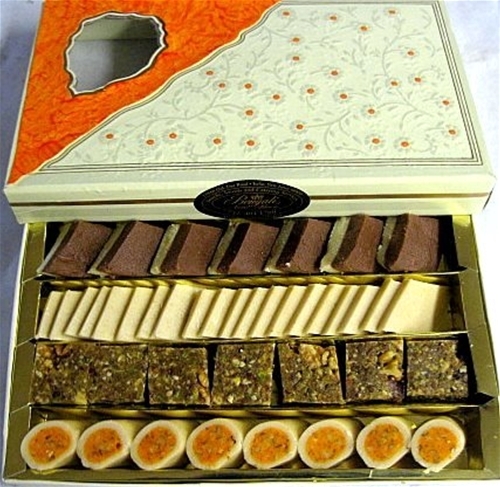 A box of exotic and irresistible flavors approximately 2 LB of dry sweets. A free personal message can be included with each gift box if desired. Great gift to impress your loved one.